The U.S. economy contracted for the first time in three years in the first quarter as it buckled under a severe winter, but there are signs it has rebounded and economists say it could grow as much as 4 percent in the current quarter. The Commerce Department on Thursday slashed its estimate of gross domestic product to show the economy shrank at a 1.0 percent annual rate. These weather-related temporary factors should fade. Inventories, in particular, are expected to swing higher, boosting output in the April-June quarter. “The race isn’t over yet for the economy. Things are better than you think. We are still expecting a strong finish to the year,” said Chris Rupkey, chief financial economist at Bank of Tokyo-Mitsubishi UFJ in New York. GDP was initially estimated to have grown at a 0.1 percent rate. It is not unusual for the government to make sharp revisions to GDP numbers as it does not have complete data when it makes its initial estimates. A plunge in business spending on commercial property and plant was also a drag. Economists estimate severe weather could have chopped off as much as 1.5 percentage points from GDP growth. The economy grew at a 2.6 percent pace in the fourth quarter. U.S. stocks were trading higher as investors focused on the brighter second-quarter growth prospects. Prices for U.S. Treasury debt rose, but the dollar fell against a basket of currencies. Bullish jobs data released on Thursday also bolstered the case for an economy on the rebound as Labor Department numbers showed first-time applications for state unemployment benefits declined 27,000 to a seasonally adjusted 300,000 last week. The four-week moving average for new claims, a better measure of underlying labor market conditions, hit its lowest level since August 2007. 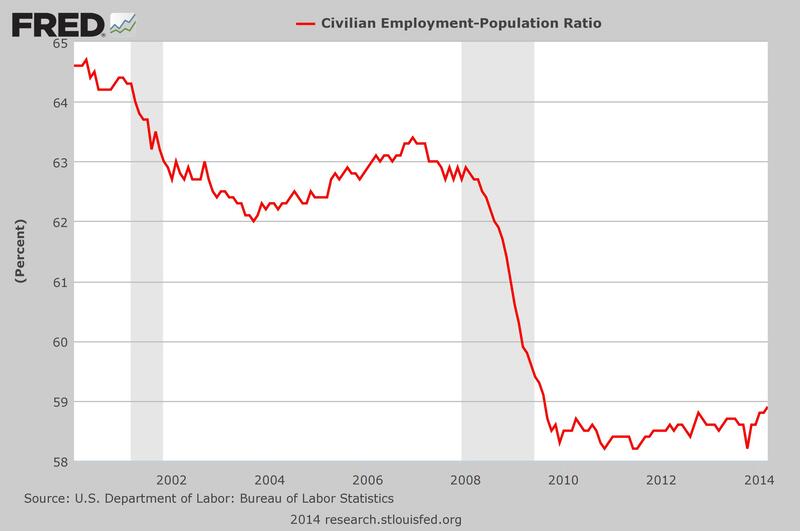 “It fits into the overall picture of steadily improving labor market conditions. That is the key ingredient that is going to propel the economy forward,” said Anthony Karydakis, chief economic strategist at Miller Tabak in New York. Separately, contracts to buy previously owned homes rose in April for a second month, a positive sign for the troubled housing market. The reports added to data on manufacturing and hiring that have buoyed hopes of strong bounce back in growth. Businesses accumulated $49.0 billion worth of inventories in the first three months of the year, far less than the $87.4 billion estimated last month. It was the smallest amount in a year and left inventories subtracting 1.62 percentage points from first-quarter growth. While the decline in exports was not as severe as initially thought, import growth was stronger, resulting in a trade deficit that sliced off 0.95 percentage point from GDP growth. Consumer spending, which accounts for more than two-thirds of U.S. economic activity, increased at a 3.1 percent rate. It was revised from a 3.0 percent pace and was boosted by the Affordable Healthcare Act, which expanded coverage to many Americans. Business spending on nonresidential structures, such as gas drilling, contracted at a 7.5 percent rate. It previously had been estimated to have increased at a 0.2 percent pace. While corporate profits recorded their biggest drop in more than five years, that reflected the expiration of a depreciation bonus rather than fundamental weakening at U.S. firms.